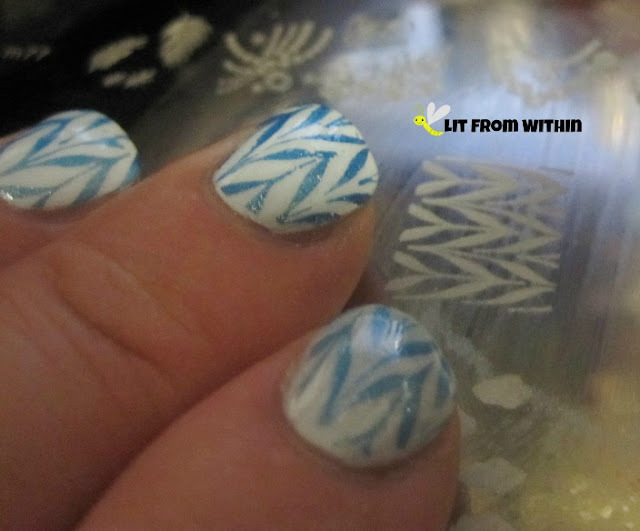 Lit from Within: Sunday Stamping - Free for all! This Sunday's challenge was to do whatever we wanted! Well, that's an easy one, as there was a stamp I was itching to try. I started out with one of the summer's trends - the almost white polish. Something about a light, light color - it gives even a porcelain child like me the inkling of a summer tan. This is Maybelline Poolside, an almost-white blue. As with most whitish polishes, it's streaky on the first coat, but this one filled in nicely on the second. No topcoat in that first pix. I ordered this jumbo plate from China. It actually has a lot of duplicate stamps from other plates, but there was one I didn't have that I wanted to dry - this one that emulates dry marbling. It's a technique that I haven't quite mastered, mostly because I drag too deeply and scratch all the polish. This stamp makes it look effortless, though! 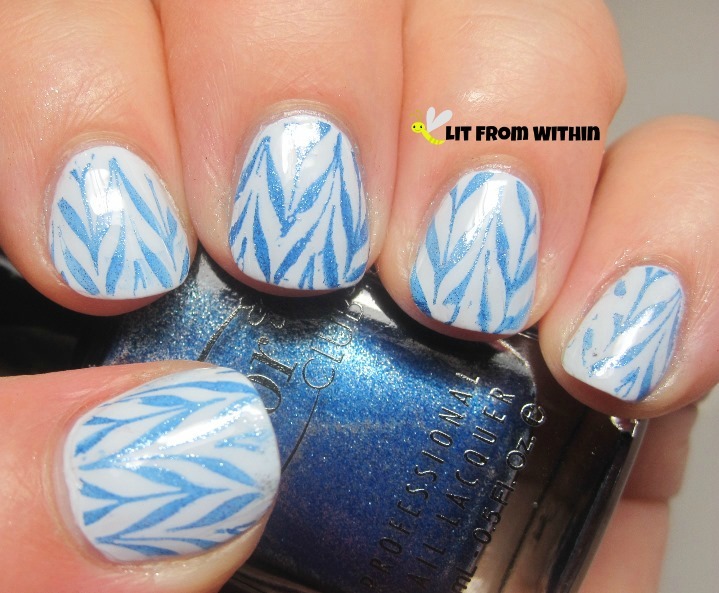 I stamped with this beautiful metallic blue from Color Club that has no name. Well, I'm sure it has one, but when sold in packs at Ross or Marshalls, I guess they save money by eliminating the name stickers. Or, maybe, it's just to mess with our heads a little. Good joke, Color Club! hahahahahaha. NO. Here's the bottle shot. 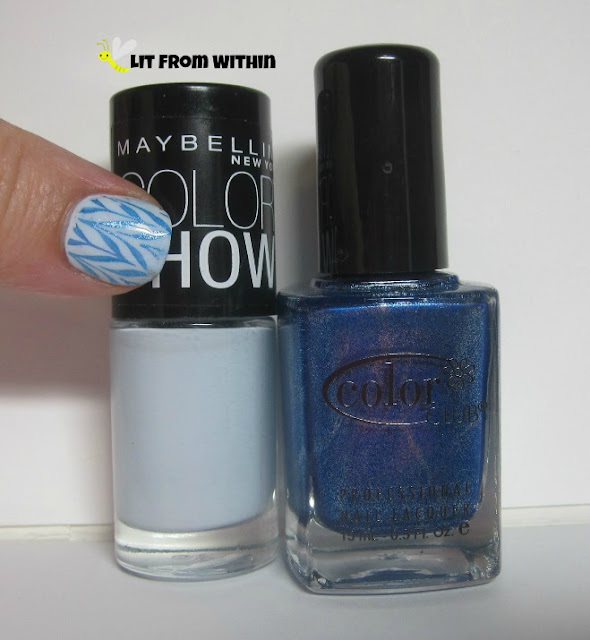 Maybelline Poolside with Mystery Color Club. 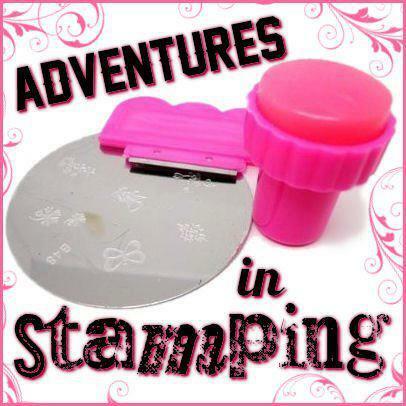 If you could have any stamp, what would you want to stamp on your mani? Thanks! It's such a high when I can get a good, clean stamp. It's sooo rare! Love it! Poolside is a stunner! Thanks! It is a beauty! I think you're right! Thanks! 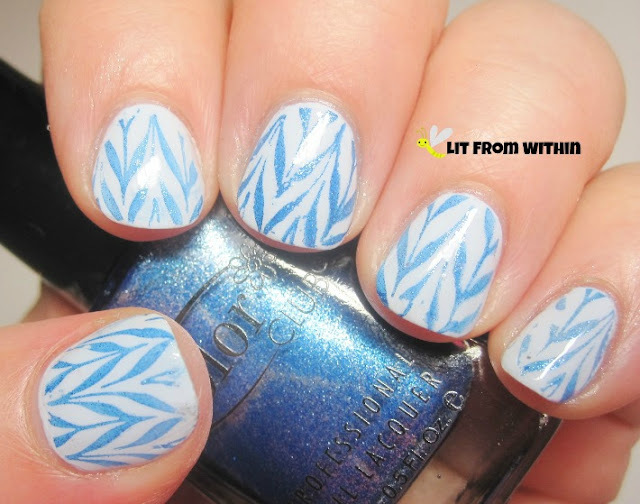 Ok, I'm in the car driving down there so you can do this mani on me. I think getting some stamping supplies would be cheaper, but I'd love to see you!